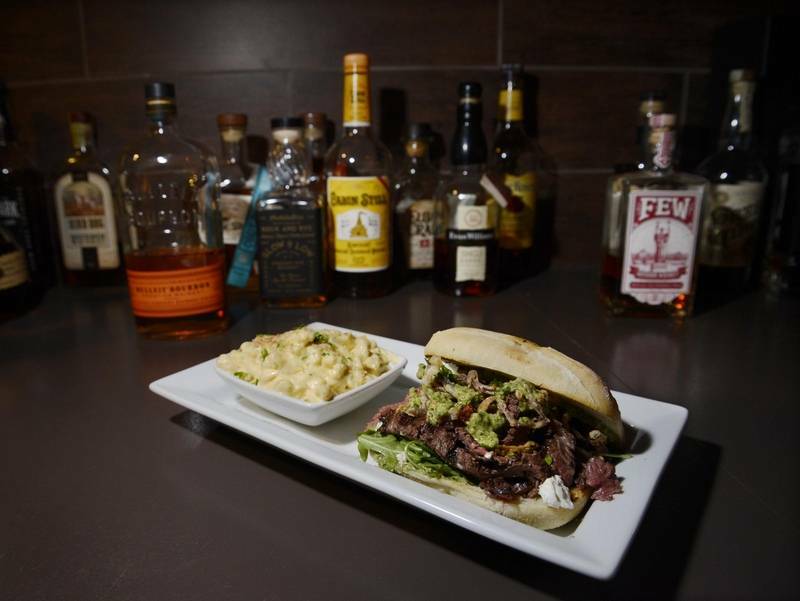 Enjoy small batch whiskeys, creative appetizers, sandwiches, salads, burgers and dessert at Barrel + Rye, a contemporary American bistro on Third Street in Geneva. Here’s the scoop on this new bistro. What’s on the menu? A very extensive selection of small batch whiskeys — bourbons, ryes, scotch — straight up or in hand-crafted cocktails. Also appetizers, salads, sandwiches and burgerS. Mission statement or philosophy: “We like to take a creative spins on American food,” said Roberge. This creativity can be seen throughout the food and drink menu with appetizers like roasted bone marrow with sautéed shallots, garlic, pickled fennel, and arugula salad, to pastrami sandwiches made from home-cured pork belly, to a cedar smoked Manhattans. The décor: Barrel + Rye has a painted tin ceiling and dark, barrel woods with fresh patterned wall paper that boast new, hip elegance. Small, thoughtful decorations like antlers and antique books tastefully decorate the small space, without taking away from the star of the show, the whiskey collection. Food specialties: Guests flock to Barrel + Rye for favorites like homemade brie cheese curds breaded and served hot with an apricot pepper jelly. The Southern, a five-pepper spiced fried chicken sandwich with smoked gouda, a fried egg and maple syrup is a big hit. Burgers are also tastefully prepared like the Brie burger, made with grass-fed beef, creamy brie, thinly-sliced grilled pears and caramelized onions. Extras: The menu changes almost every week, to accommodate to seasonal selections. Price range: Plates range in price between $10-$13. Sandwiches are large and can be split for two. An appetizer, two cocktails and two sandwiches with a side will run about $75. 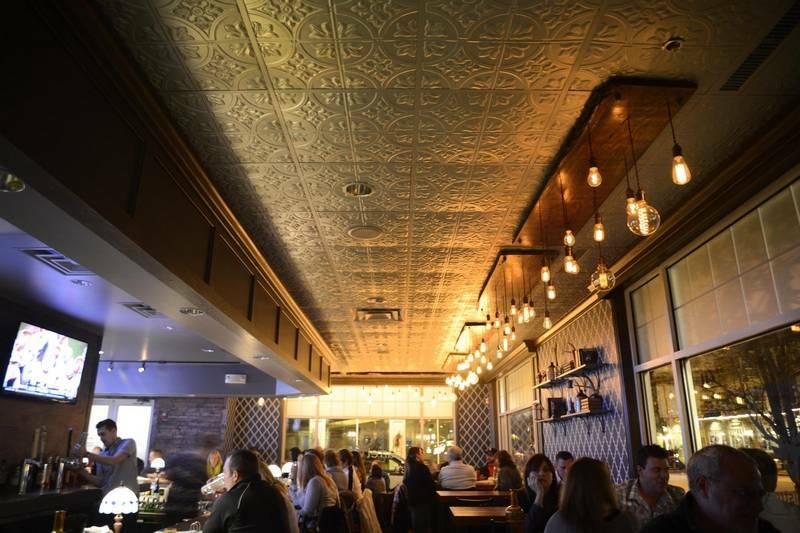 Logistics: Barrel + Rye is at 477 S. Third Street, Suite 184 in Geneva, steps away from the Geneva Metra station. They are open daily for lunch, dinner and party hours. Call 630-402-0647 or visit barrelandrye.com.